Do you remember that wall I decorated with clovers? Well, the kids have learned that they peel right off and think it is funny to move them around on me. And really, it is. 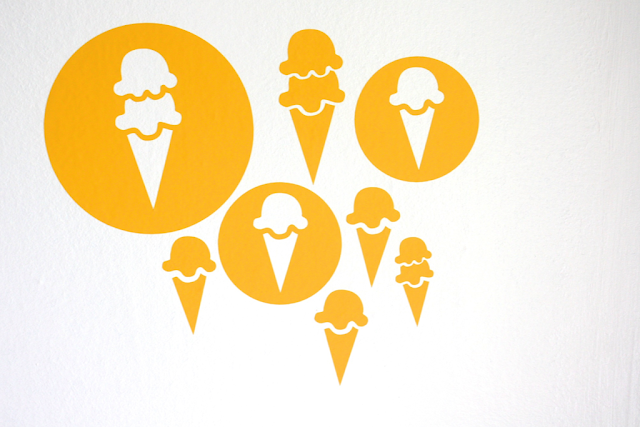 But I didn't want my hard work to waste, so I made them their own wall or window stickers. Here is how you can make your own with the Cricut Explore. 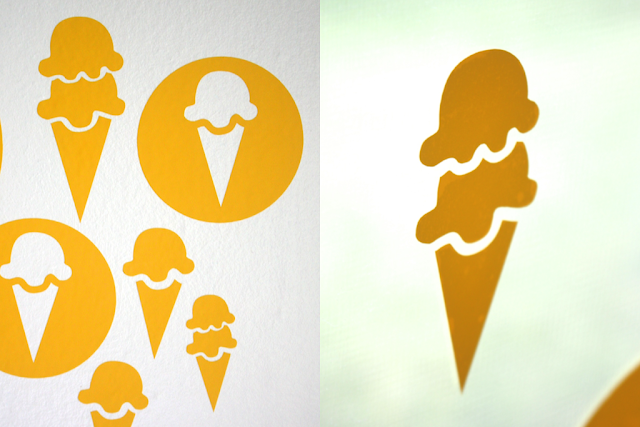 Materials: removable vinyl in any color, a cutting mat, and the Cricut Explore. 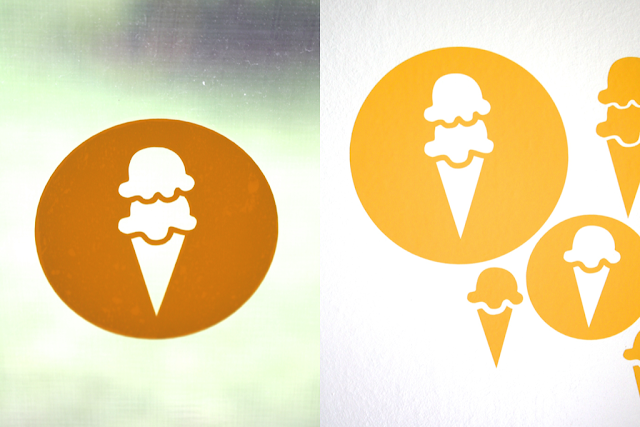 Process: I chose a couple ice cream cones that were surrounded by circles from the Cricut Design Space - this way the circle could be used as one sticker and the inside pieces as another. 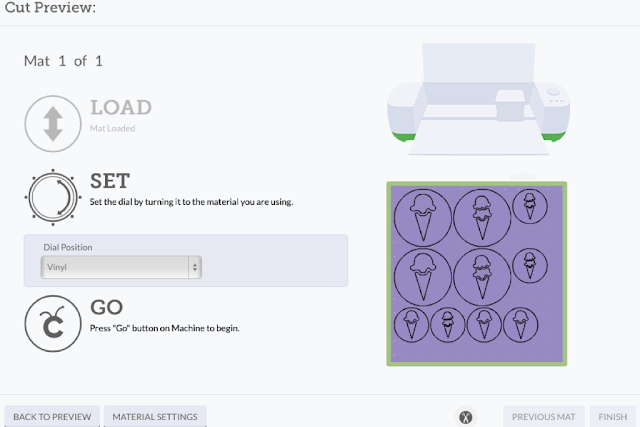 After choosing what you want, load the mat with the vinyl color side up, set the dial to vinyl, and press GO. Easy as that.